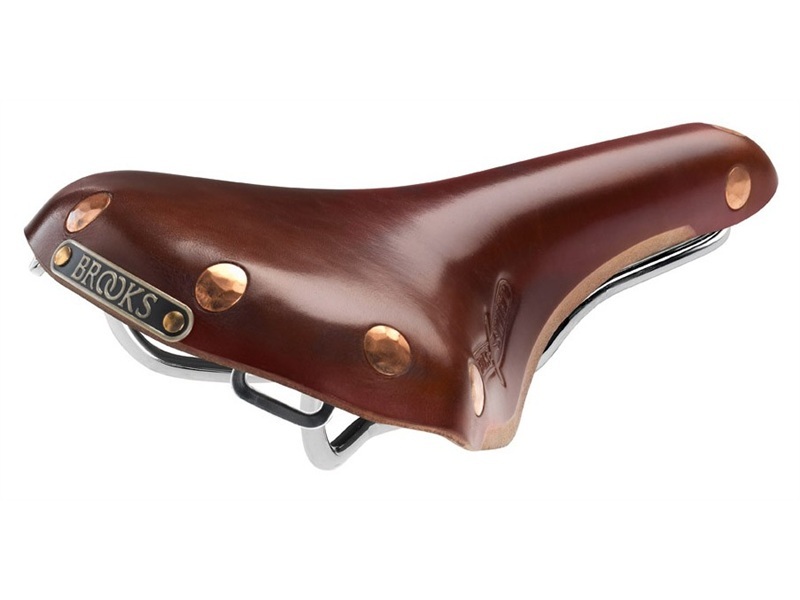 One of the success stories of the British cycle industry (although they’re now owned by an Italian company) Brooks has grown, over the last century or so, from a small workshop to a byword in quality craftsmanship. Back in 1865, John Boultbee Brooks left his home and headed for Birmingham, where in 1866 he established a business in horse harnesses and general leather goods in Great Charles Street under the name JB Brooks & Co. In 1878, the unfortunate death of Mr Brooks’ horse led to a stroke of inspiration. Unable to afford another horse, he borrowed a bicycle in order to commute to work. He found the seat so uncomfortable that he vowed to do something about it. 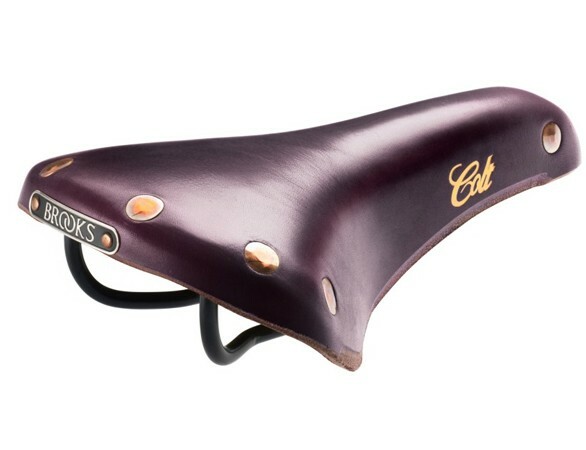 On 28 October 1882, Mr Brooks filed his first saddle patent. Waddling cyclists everywhere rejoiced and the new product was a roaring success… The rest as they say is history. 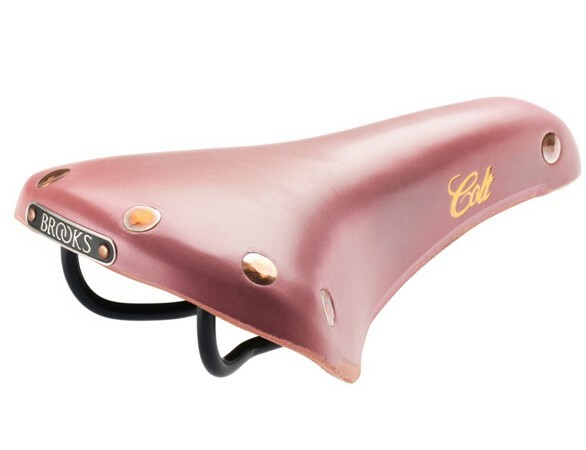 A new venture for Brooks, the Cambium range of saddles are made from vulcanized natural rubber & organic cotton enhanced by a thin layer of structural textile for added resilience and the legendary Brooks longevity. 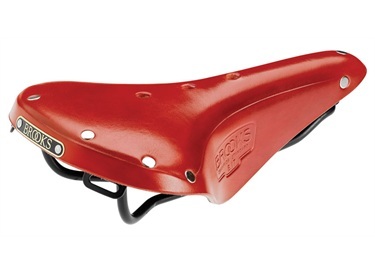 These unique saddles follow the rider’s movements without the ‘break in’ period associated with leather Brooks saddles. 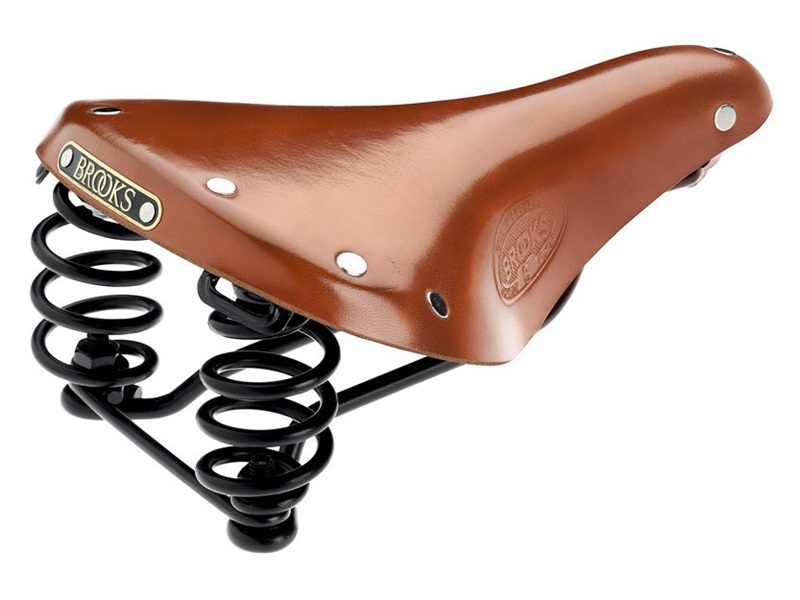 The B15 Swallow is a faithful reproduction of a saddle specifically conceived with the sporting cyclist in mind which is widely regarded as the precursor of all modern racing saddles. This saddle was originally patented as long ago as 1937. 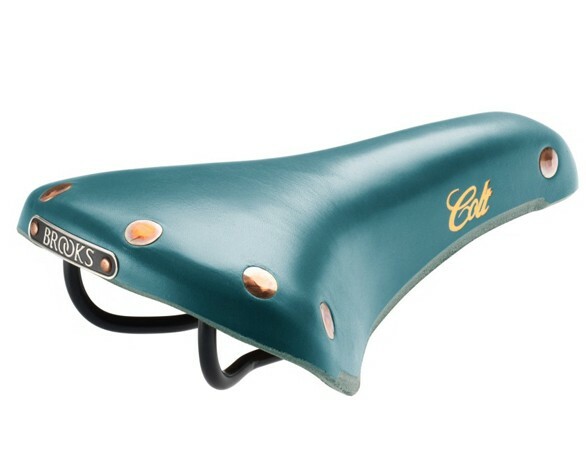 At that time a great many such Brooks Saddles were exported to the continent, where they were very popular amongst professional cyclists competing in the various tours and stage races. Today’s Swallow still proudly bears the original patent declaration on the tensioning plate beneath the svelte leather upper. This text retains the word “deposé”, the patent application for the Swallow having initially been registered in the Paris patent office. 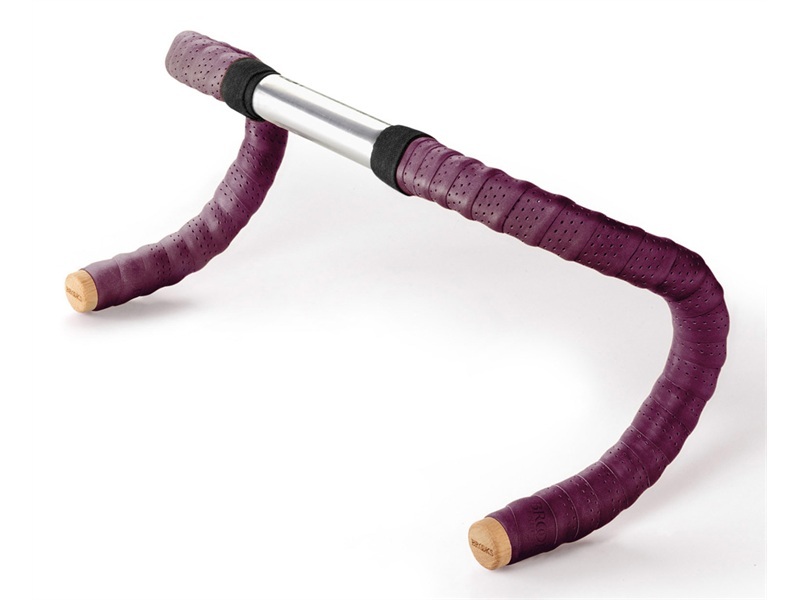 Also available with lightweight titanium rails for a significant weight reduction of both the saddle – 370g – and your wallet – £240. 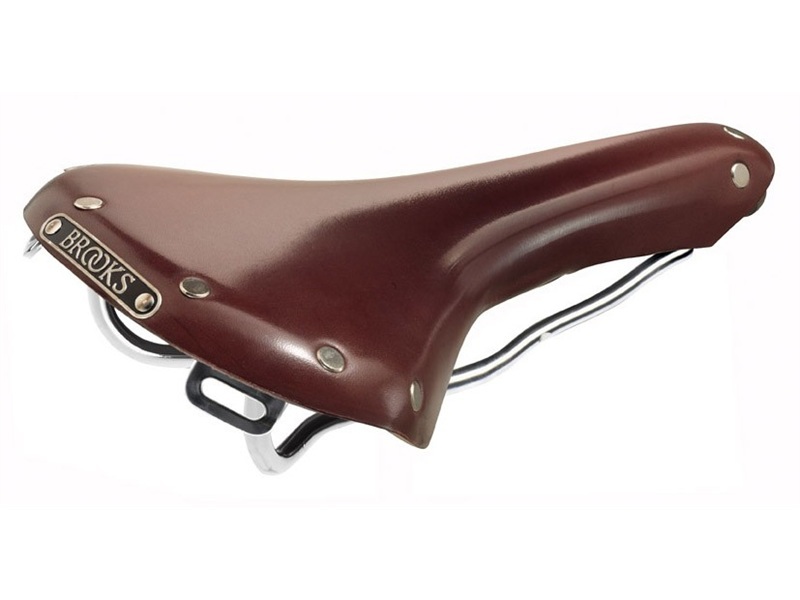 The handsome Swift was the youngest gentleman’s racing saddle in the Brooks range. It features delicately hand skived lower sides, where a thin stripe of the leather top surface is cut back, thus exposing the lighter coloured suede beneath which makes for an attractive visual accent and greater comfort when pedalling. The large copper rivets are hammered by hand and the Swift proudly sports a metal nameplate at the rear, and in addition two embossed graphic details on the sides featuring the saddle name and incorporating an icon of a Swift in flight. The B17 is Brooks’ flagship men’s model, ideal for long distance sports touring, trekking and atb use. It has been on the market for over 100 years, being featured in as early as the 1898 catalogue. Alternative B17 models include the organic Select, the Special, the Imperial, the Aged and a Titanium railed model. The B17 is now available in colours! 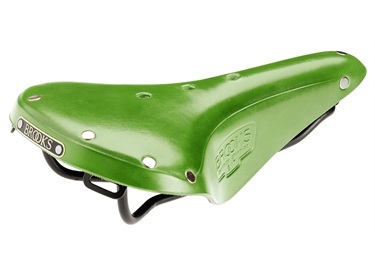 The B17 S is Brooks’ flagship women’s model, ideal for long distance sports touring, trekking and atb use. It has been on the market for over 100 years, being featured in as early as the 1898 catalogue. Alternative B17 S models include the organic Select, the Special, the Imperial and the Aged. The Flyer S and its gents model Flyer are classically sprung saddles for long distance trekking and touring. It is directly descending from the B66 Champion, first featured in the 1927 catalogue. Sharing the same leather tops of the B17 models, they combine the comfort of these popular models with the extra suspension granted by two rear springs. 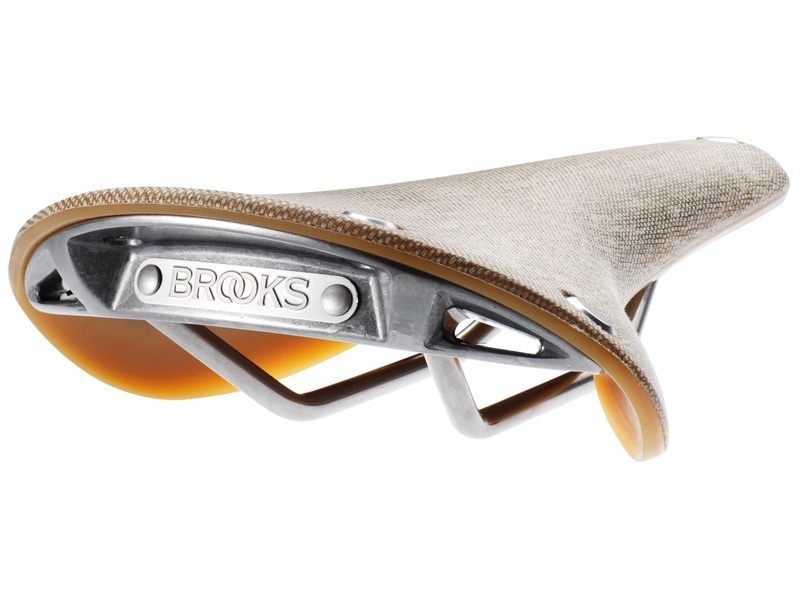 The full range can be seen on the Brooks website, if they make it we can get it for you, just ask!